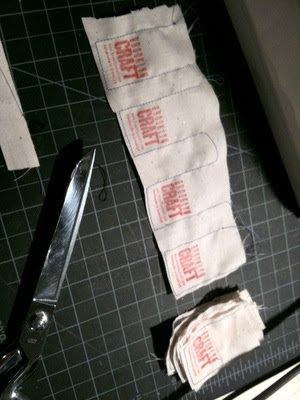 After searching online for clothing labels and seeing how much of a hassle and how expensive they are (up to $1.00 a label) I realized that I was going about this all wrong. I make everything myself anyways why not make my own labels! DUH! So I finally bought my own stamp, which I should have done sooner. 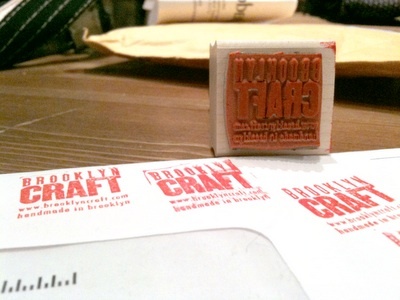 Because my logo was letter press it looks like a stamp already so the stamp of my logo looks great! I am using this to make tags for pillows and bags. If anyone has any good tips on an ink pad that is permanent ink. please let me know. I don't want the ink to wash off the labels. SO AWESOME!! I can't wait to have curtains with tags on them! Thanks for your comment. I got the rubber stamp from rubberstamps.net. They were very fast and very cheap. I recommend them. Thanks for stopping by! !